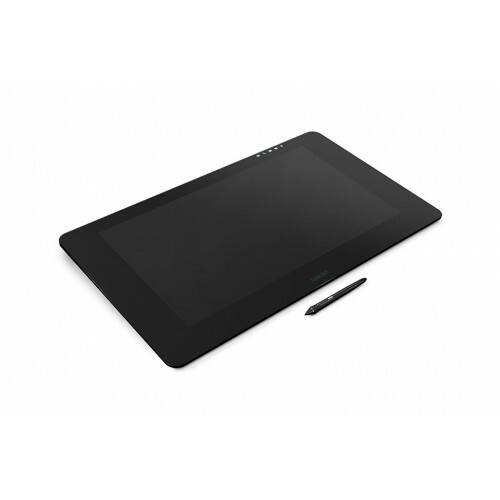 Wacom DTK-2420 Graphic Tablet is with the Wacom Cintiq Pro 24 which gives you absolute harmony with your work. It has Premium 4K screen with world class color performance, and virtually no parallax, enhance every creative breakthrough. This tablet is built in 4K resolution (3840 x 2160 px) is packed into a 24” LCD display with superb color accuracy (99% of Adobe RGB). You can use it in greatest artwork, design or photographic projects. This graphics tablet is features with high-power processors, including Intel Xeon (depending on model), NVIDIA Quadro graphics, and user-upgradable SSDs and memory (up to 32GB). It's Interactive display has 677 x 394 x 47 mm (26.65 x 15.5 x 1.9 in) size, 59.94 cm / 23.6 in size screen, maximum 1.07 billion colors (10 bits color). 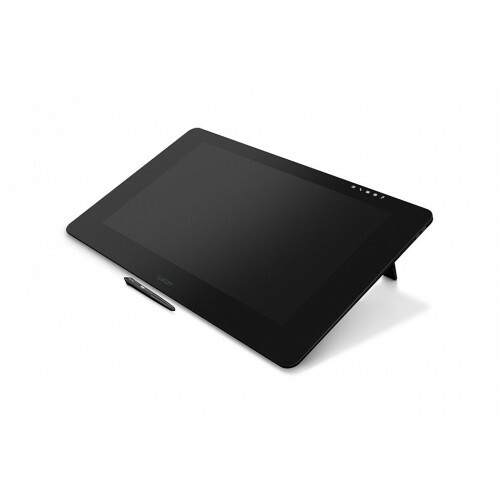 The CINTIQ PRO 24 PEN Graphic Tablet has 16:9 Aspect Ratio, 176° (88°/88°) H, (88°/88°) V Viewing Angle, 1000:1 Contrast Ratio, 235 cd/m2 (min, duty 100%) Brightness, 14ms Response, 522 X 294 mm (20.55 X 11.57 in) Active Area. Here the Tilt Range is 60 degrees with ±60 levels Tilt Recognition. In this tablet, it has Tip switch, 2 side switches, eraser,10 (6 standard, 4 felt) in pen stand and Latex-free silicone rubber Grip. The Radial Menu, Precision Mode, Display Toggle, Dedicated Pan, Scroll, Zoom, Brush Size are included in this graphics tablet. This tablet has different types of connection port like 4 x USB3 ports, 1 x USB C port , 1 x HDMI2.0 port, 1 x DP port, 2 USB-A Ports (one for ExpressKey Remote dongle), 100 to 240 VAC, 50/60HZ input Power Supply, 19.5V / 9.23A Output Power Supply. Here the Power ON mode is Max.100 W, Power sleep mode is 2.0 W or lower, Power OFF mode is 0.5 W or lower with using Rechargable Li-ion battery on include ExpressKey Remote Rechargable Li-ion battery on include ExpressKey Remote and Kensington Lock Port (lock purchased separately). This exclusive graphics tablet has VCCI Class B, FCC Part 15 Subpart B (class B) and C, CE, IC ICES-003 and 210, RCM, KCC, BSMI, C-tick, CB, CCC, GOST-R, China RoHS, Korean RoHS, EU RoHS certifications.It is compitable with Windows 7 or later (latest service pack/build) and OS X, 10.10, or later (latest update); USB-C port with DisplayPort Alternate Mode (UHD), or Mini DisplayPort/DisplayPort (UHD) and USB-A, or HDMI 2.0 (UHD) and USB-A; Internet access for driver download for Mac with providing 01 year of warranty.